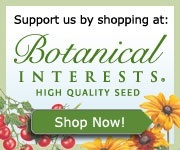 Please Help Us Save Honey Bees by Donating To Our Cause! Beverly Bees, a tiny organization with a lofty goal – Saving The Honey Bees One Colony At A Time. You Can Help Us Save Honey Bees by Donating To Our Cause! At Beverly Bees, our beekeepers rescue unwanted bee swarms throughout the community for FREE. We save honey bees that would otherwise by killed or destroyed and rehome them in a location where they are wanted and will be taken care of by beekeepers. Our free bee swarm removal service is currently available to people in Essex County, Middlesex County and Suffolk County. We are also working very hard to increase the local honeybee population through our Host A Hive program, which educates non beekeepers about what it’s like to keep bees. We provide, all the equipment , expertise and time to help educate non beekeepers and promote awareness of the plight of the honey bee. We also provide educational talks about bees to schools and community groups. Our website is full of free instructional posts for beekeepers and others which promotes good stewardship and understanding of honey bees. We are working very hard to save honey bees! We do a lot for the community and for honey bees, please show your appreciation and help us out by supporting us with a donation. If you can donate $1 or $500, any amount will help. A lot of volunteer work and money goes into our beekeeping services for the community as well as maintaining this website. This includes sourcing bees, their supplies and equipment, general beekeeping duties, the cost of traveling to and from host a hive locations and bee removal sites, attending beekeeping events across the country, plus photographing, writing and sharing valuable beekeeping information with our readers. Your donation will allow us to keep providing the community and you with important beekeeping services and information in the future. Your money will go toward saving honey bees, increasing the local beekeeping population, rescuing bee swarms, educating and furthering the understanding of honeybees and beekeeping for backyard beekeepers. We could not do it without you! Thank You! You can help us save honey bees by making a donation via PayPal below. Thank You!